Light Display Boxes. Light boxes are usually pretty standard and lack inspiration but these are really amazing! These beautiful Akari light boxes display unmistakable purist influences of Japanese craftsmanship. These beautiful light boxes are truly timeless. Their simple, unobtrusive style makes them blend in with any interior design. Fashioned from fine-grained Kiri wood which will keep its attractive appearance for years. 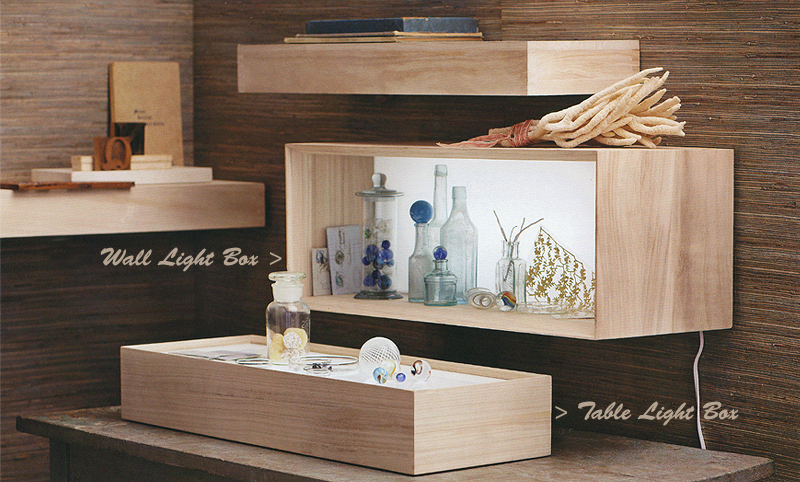 Kiri wood is a popular choice among Japanese wood craftsmen and furniture designers. These distinguished light boxes are expertly crafted by master craftsmen. Special attention is given to the details. Each light box is constructed with finger joint corners which add to their timeless appeal. These sturdy display pieces attractively highlight collectibles, curiosities and precious objects. 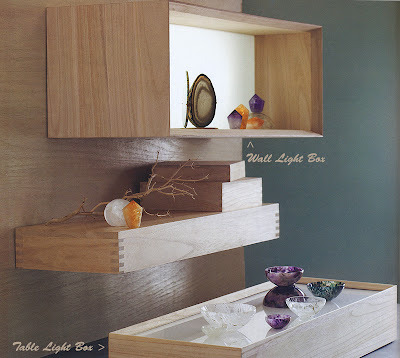 The Akari light display boxes are perfect for residential interiors but they can also be used as store display boxes and shelving. For easy installation, the shelf includes a level concealed on the underside. Each light box features a single fluorescent bulb under a sheet of translucent acrylic. Our wonderful and high quality wooden light boxes are characterized by their simple minimalist design style and functionality.